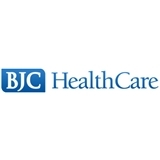 BJC Medical Group at Northwest HealthCare (Florissant) - Book Appointment Online! This was my first visit with Dr. Herleth. It was an excellent visi . I will be bring my whole family there! Dr. Ansari is the best doctor a person could ask for!